One last back to school tradition to share as we kick off the new year. Actually, this isn't just a back to school tradition, although we will certainly be using it. 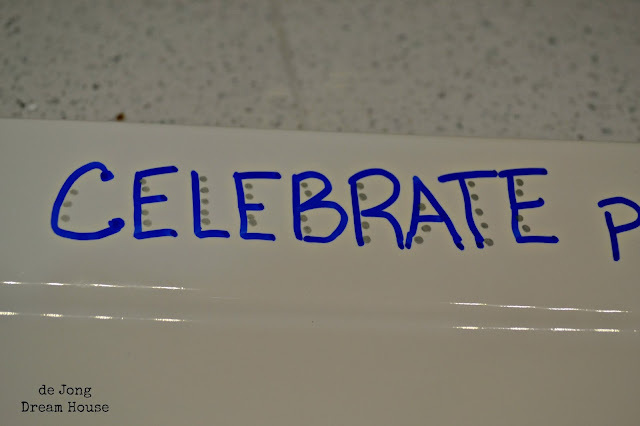 I'm talking about the Celebrate Plate. Many moons ago...pre-kiddo, pre-hubby, pre-Ohio, pre-brain injury, I worked for a Christian bookstore. 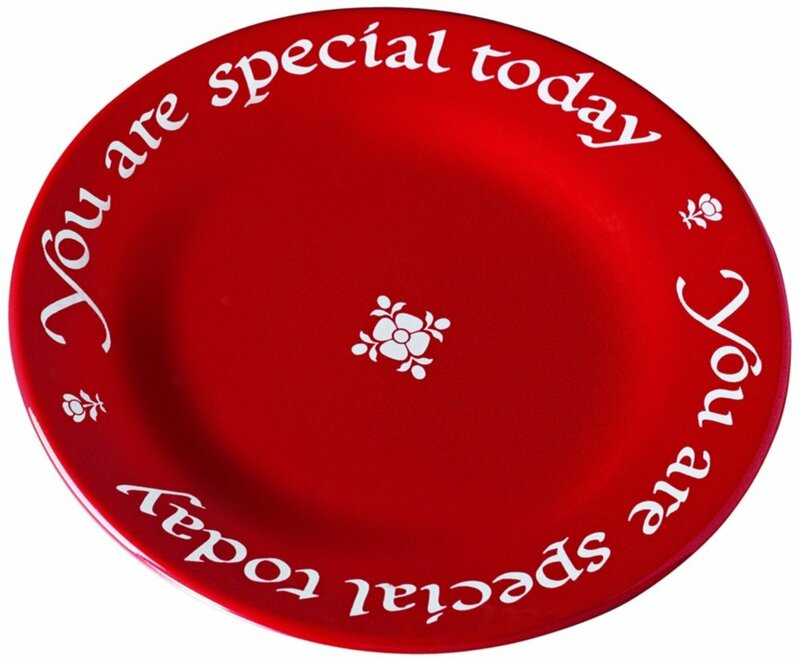 One of my friends was a buyer and came up with a custom "You are Special" plate based on the German original. 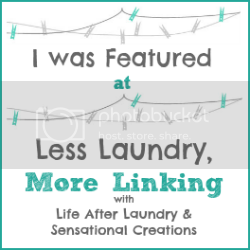 It stuck with me because I was writing my first book (<--Affiliate link) at the time, and was researching family traditions. 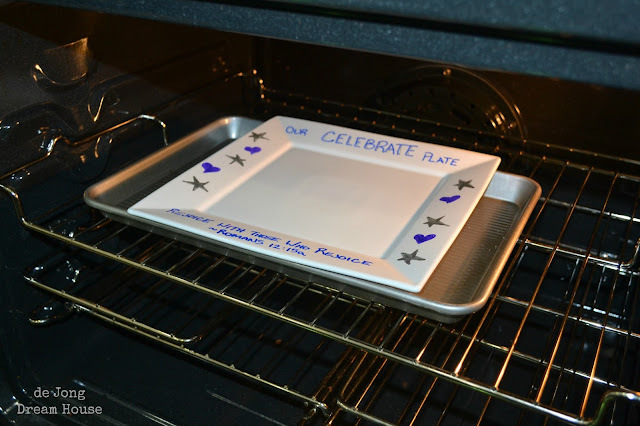 While I loved the idea of having a special plate to celebrate birthdays and other milestones, I wasn't crazy about the verbage, "You are special today." 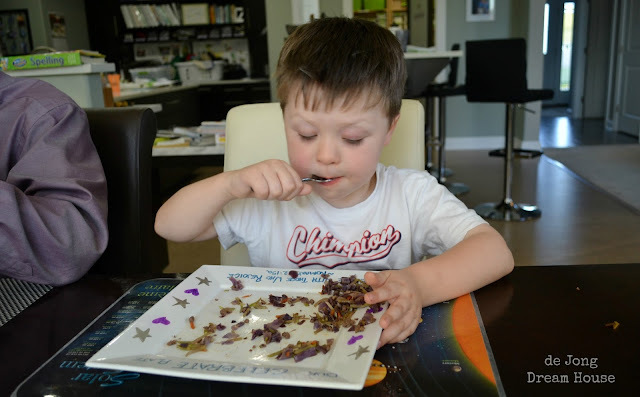 I like to think my family is special every day. 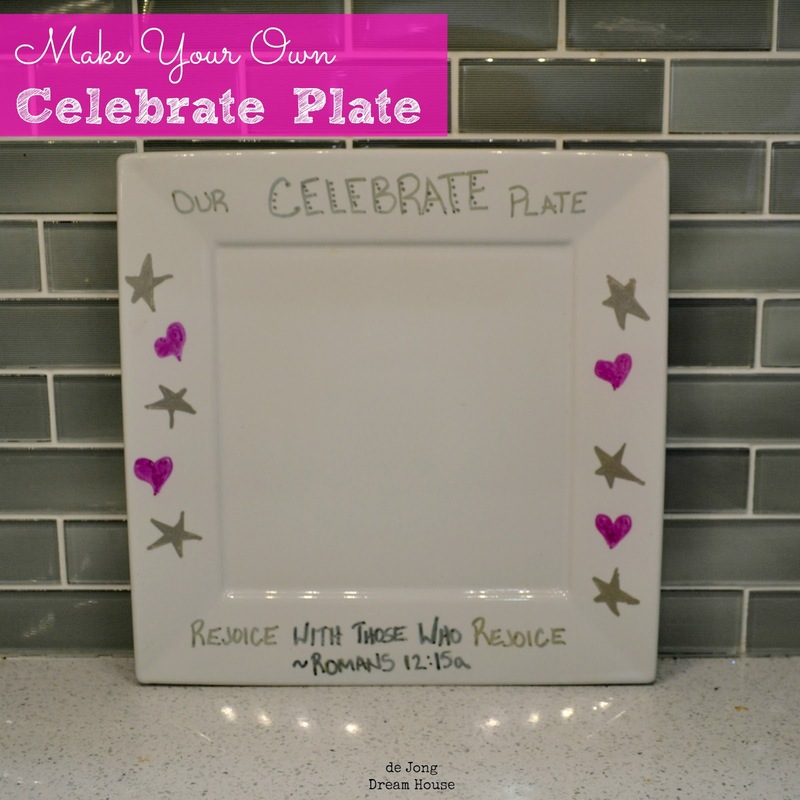 I looked on Pinterest for ideas and found both "the Happy Place" and "Celebration Plate." I liked the way "Celebrate Plate" sounded so I had my phrase. 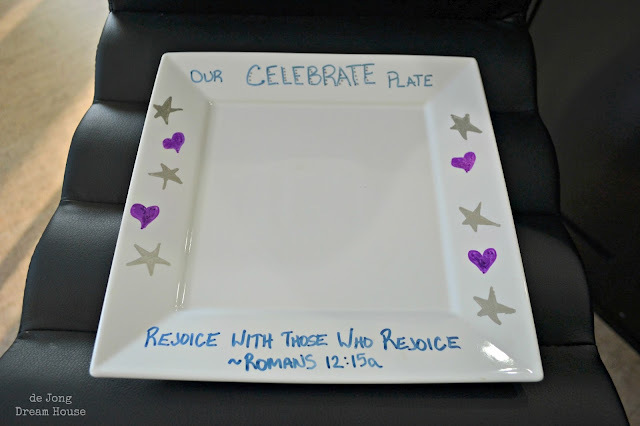 I used the tutorial from Darling Doodles Design, who made a super fun set of dinnerware using a Sharpie instead of a special pen. (Seriously, I'm not posting a photo here so you'll go check it out on her page). I bought a square white ceramic plate from Target (from the Threshold collection). Then used Sharpies to freehand the design. I had fun with the word "celebrate." Here's the plate after cooling in the oven. We had our own version of bubble & squeak for dinner, which was just begging to be shaped into a heart. I've always loved to watch D eat. He makes the best facial expressions. Look at those eyebrows! 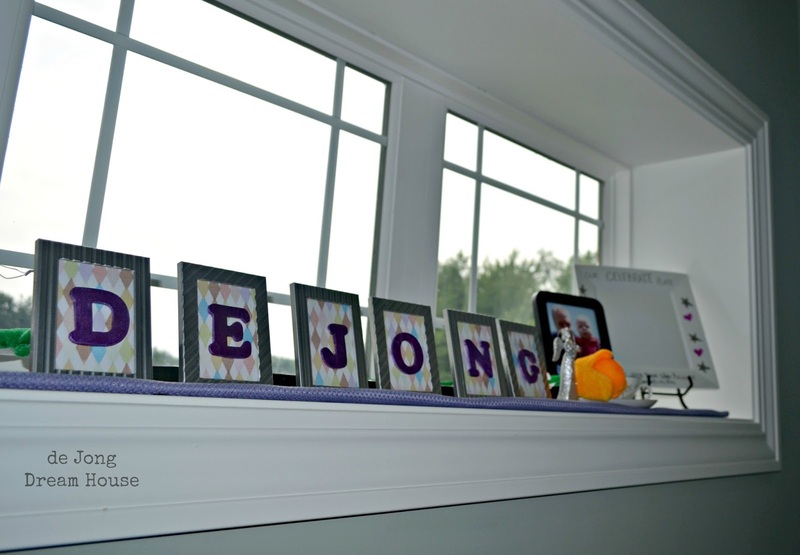 On ordinary days, we keep the plate in the window sill above our hutch. Super cute! 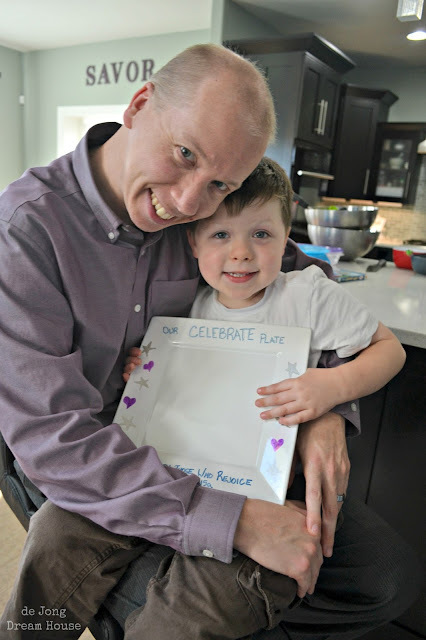 What a great way to celebrate a special day! 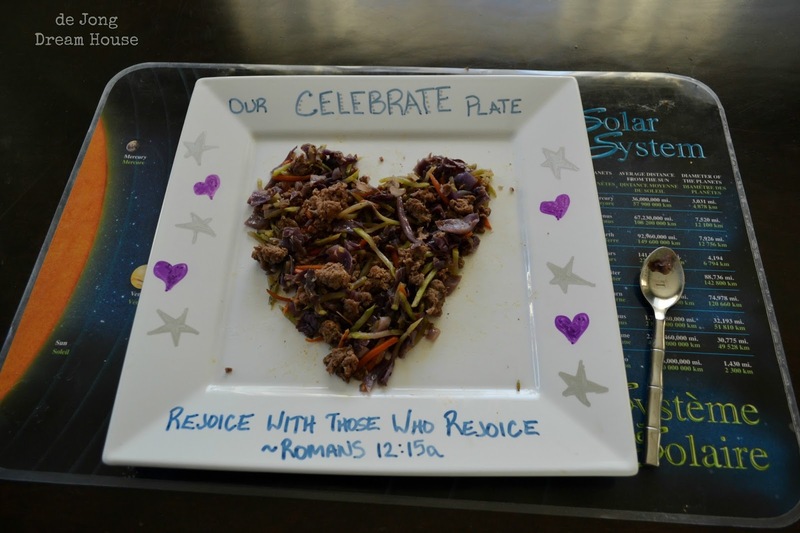 I love your plate! We had the red plate at my house when I was a teenager, and I loved it! 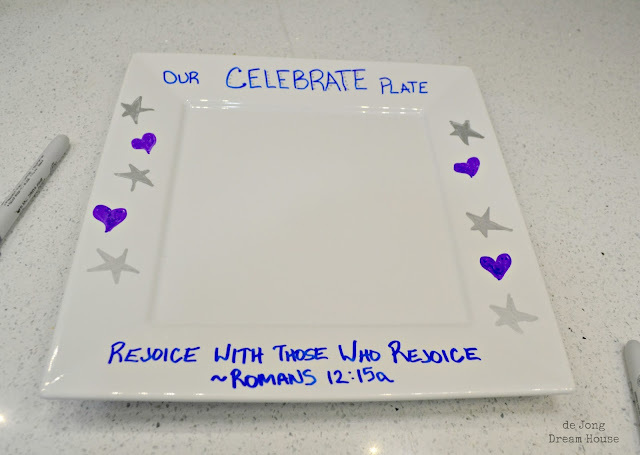 I do like your version of the plate, though--because you're right--I was special whether or not I got the lead in a play or got straight A's yet again--but those WERE reasons to celebrate! Oh, and your little boy is precious!! !